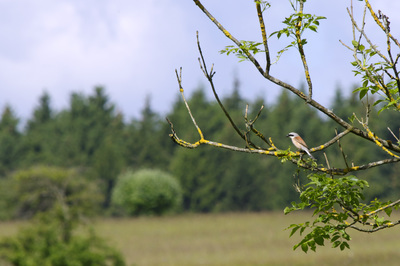 Long time ago, the Eifel was a region of extensive volcanic activity and the eruptions generated a huge volume of volcanic ash, now found in thin ash layers in contemporaneous sediments. 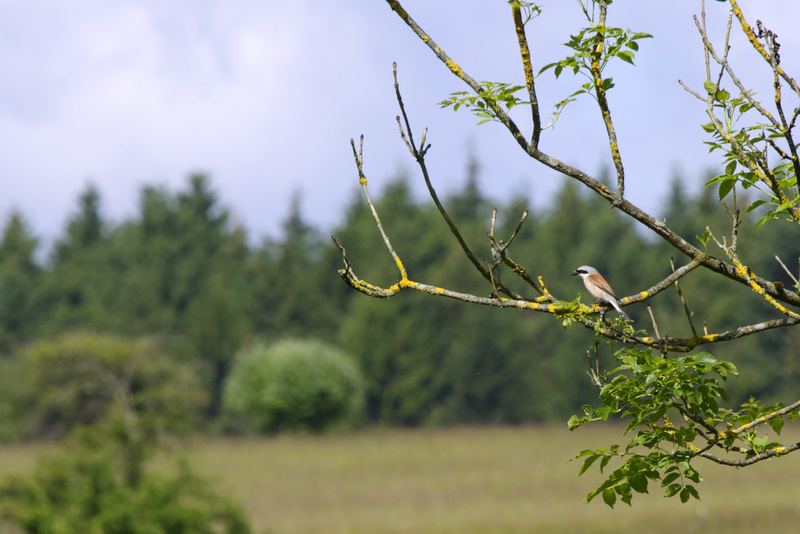 Further the Eifel mainly consits of sandstones and limestones. This combination makes that this area is valuable; 110 m2 have been protected as the Eifel National Park. 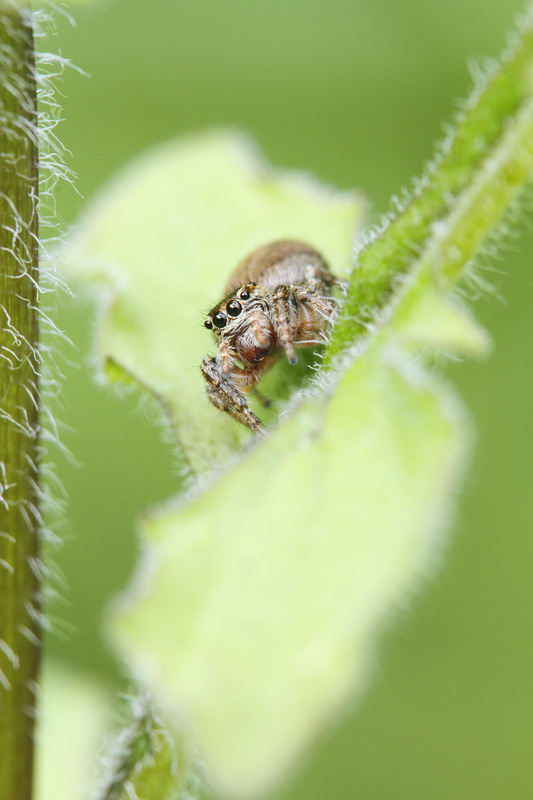 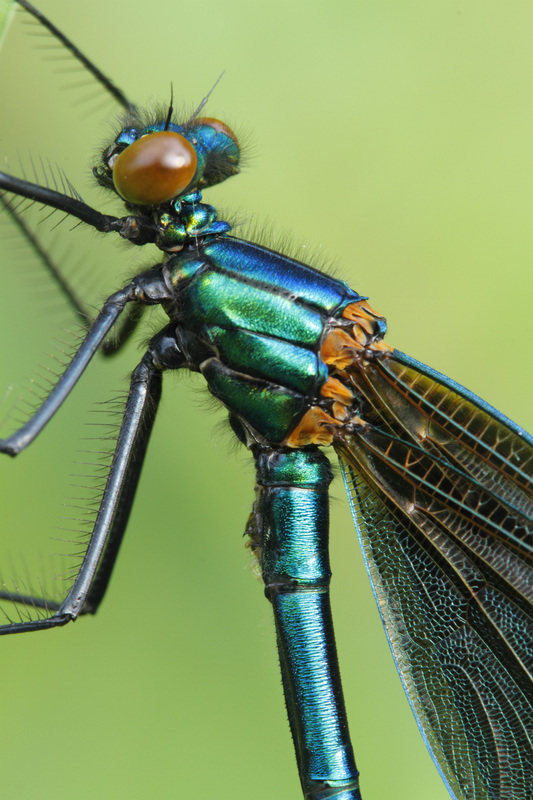 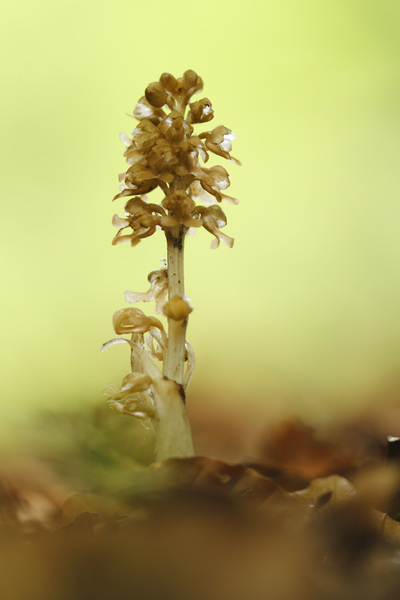 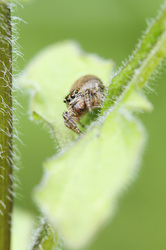 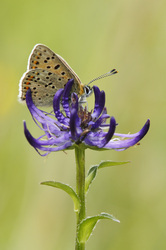 To see and photograph other species, together with friends I travel to the Eifel for at least one day every year. 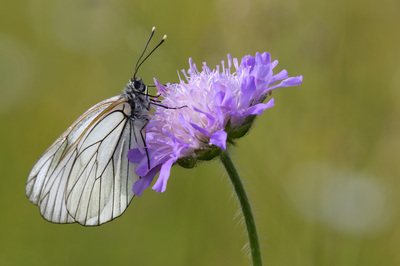 Comparing to the Netherlands it feels like walhalla (or was it hallwalla)! 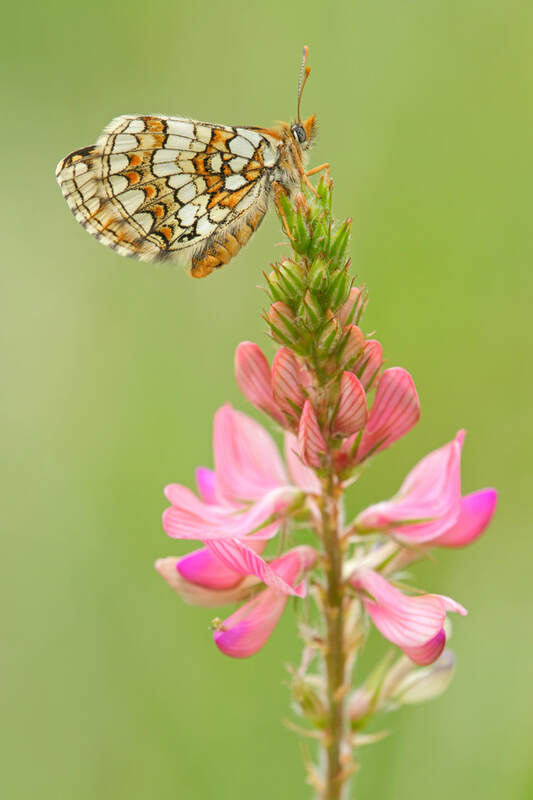 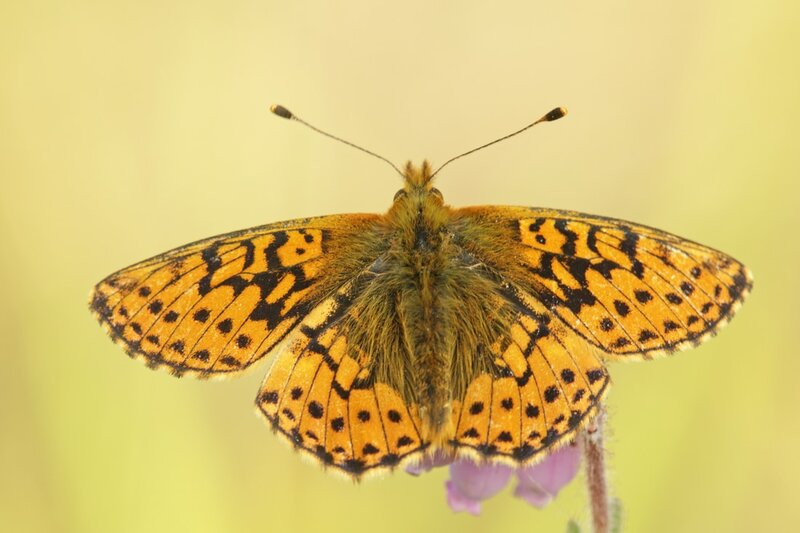 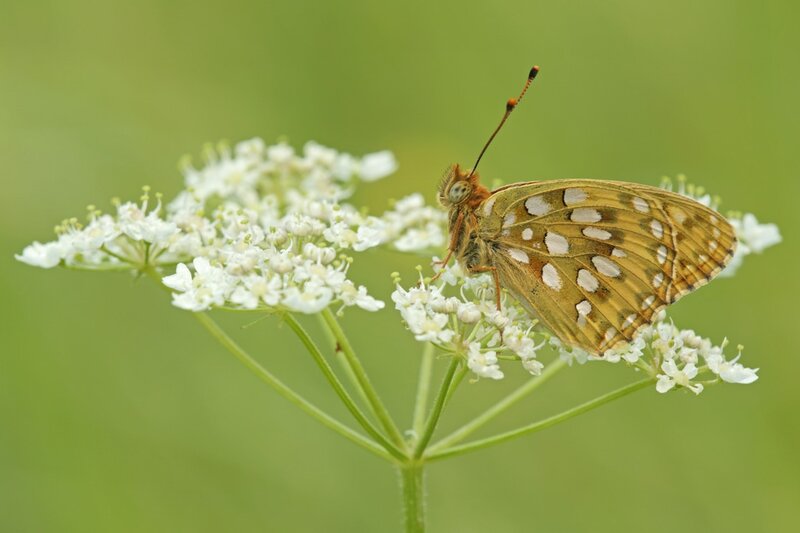 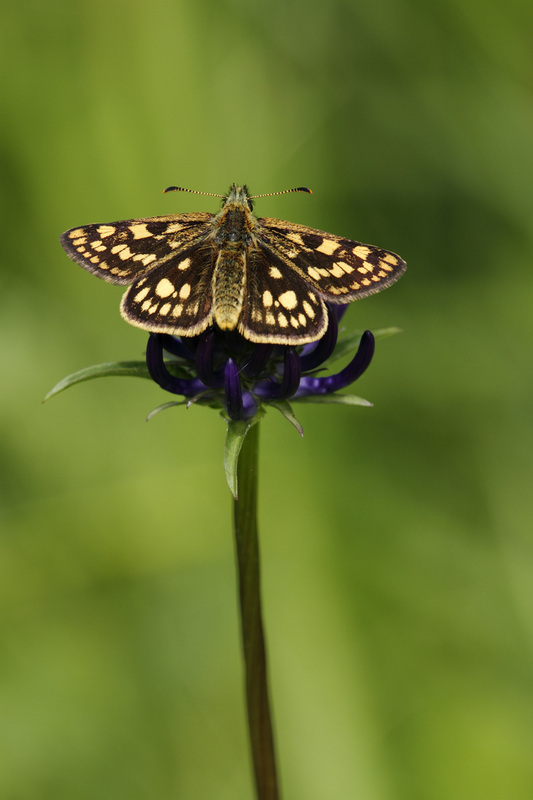 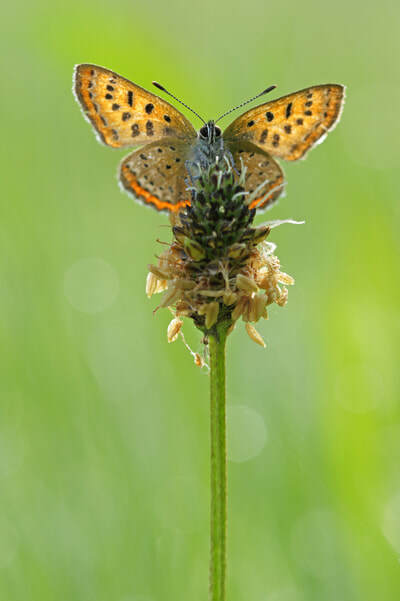 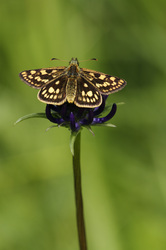 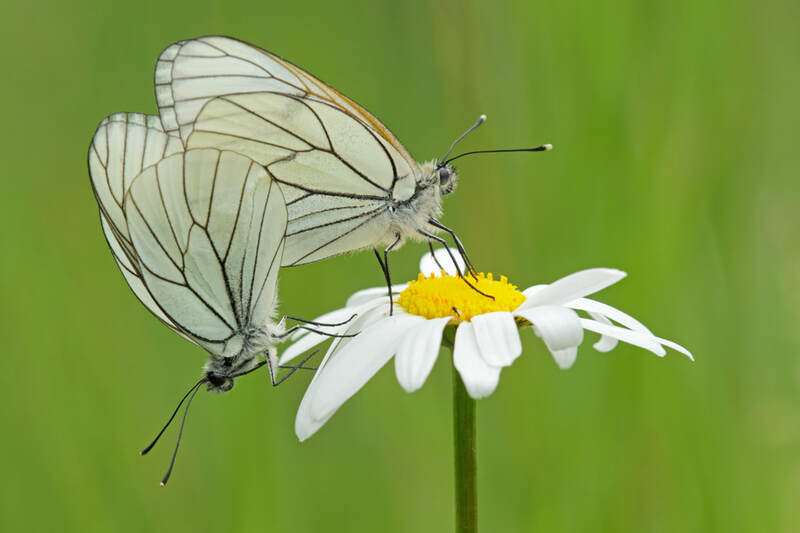 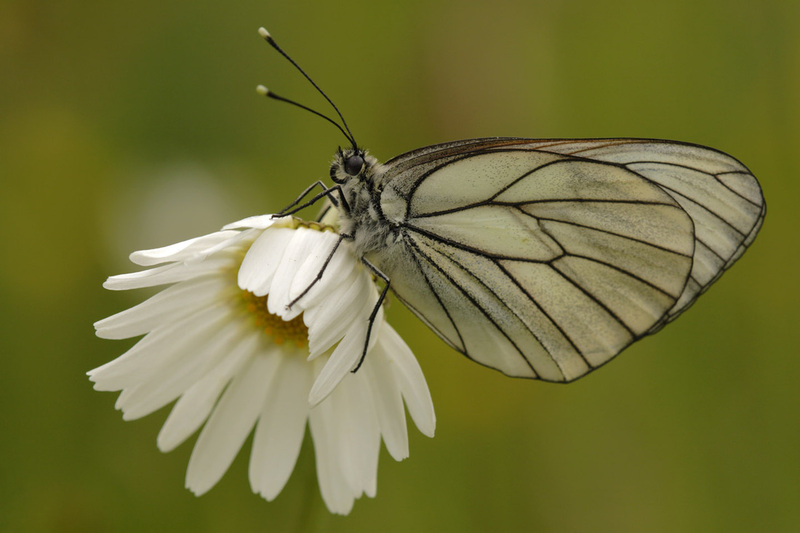 For butterfly photographers The Eifel feels like paradise as there are a lot of rare species to find like several fritillaries, coppers, blues, skippers, hairstreaks and so on. 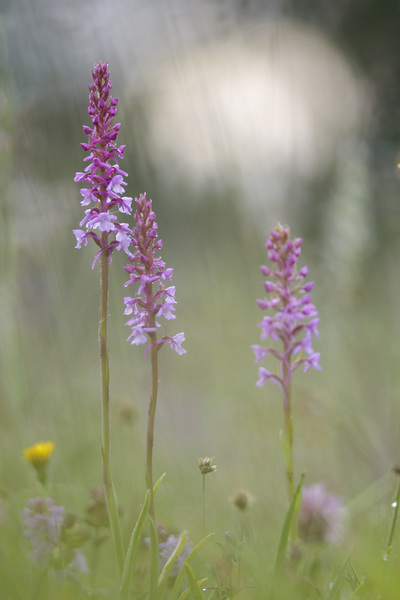 In 2018 I visited the Eifel three times, one morning, one day and two days; three visits in three different parts of the Eifel. The weather was unstable but on all four mornings the sun was shining for at least half an hour. 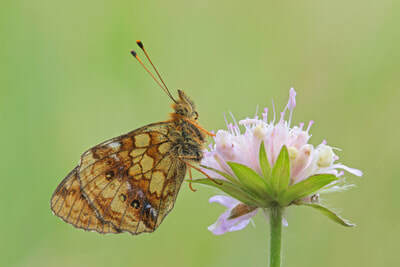 The number of butterflies were in general again disappointing; on two 'old' spots we found more butterflies than last year but on the 'new' spots the amount was lower. 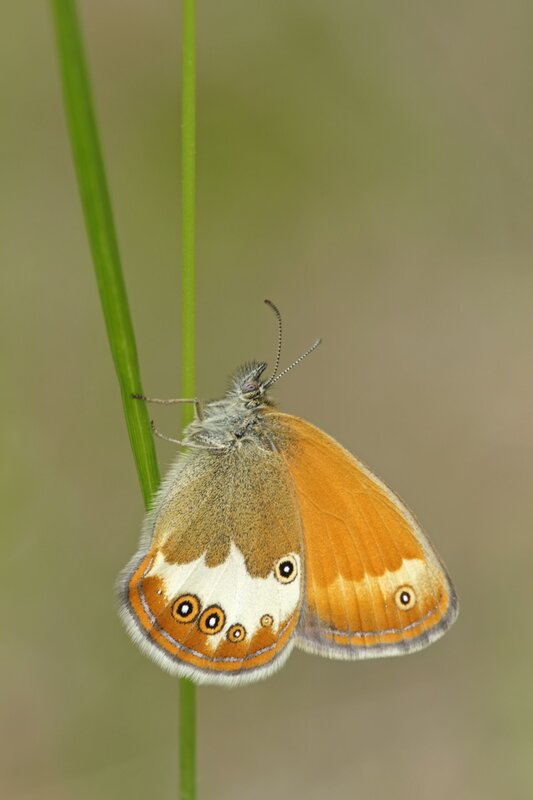 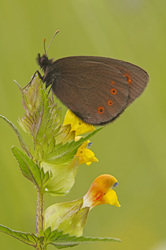 The majority were Meadow Browns and Ringlets. 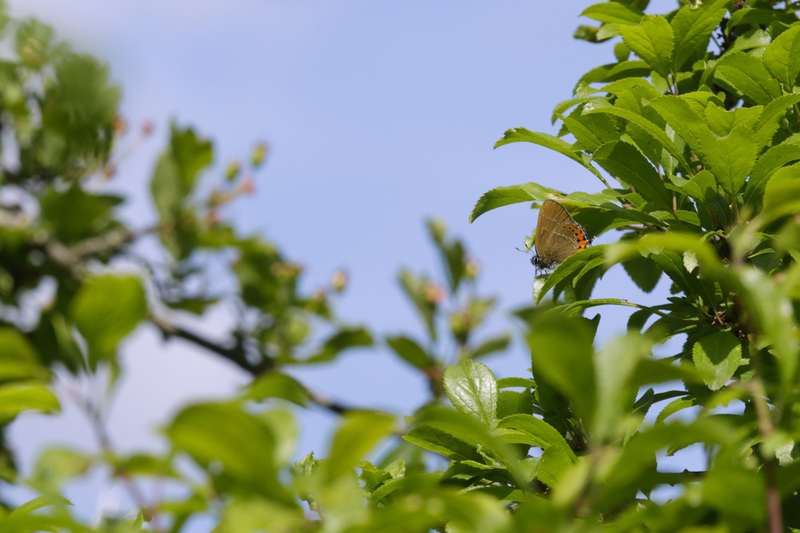 ​2017 was a three days visit with some members of the Palinka club (see Blog or Gallery A-Z -> Hungary). Although the weather was good, the number of butterlfies was low again. We visited the old (well-known) spots and discovered two new spots. 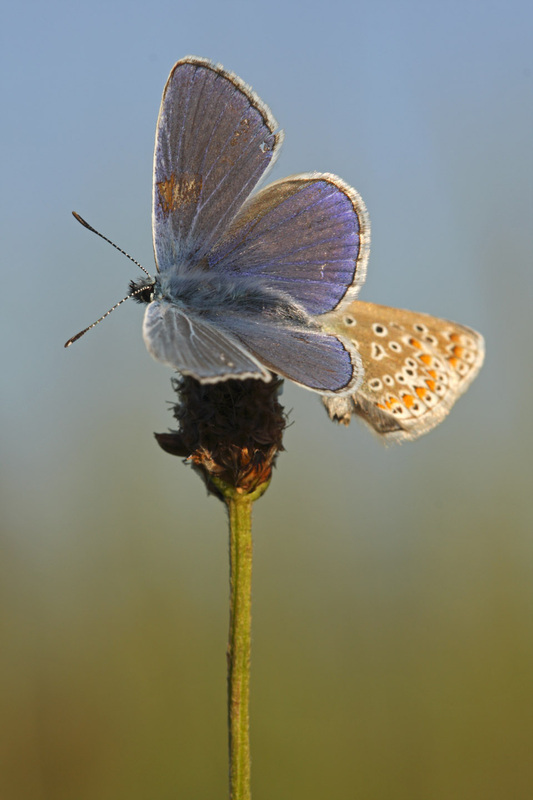 One of the two new spots was a butterfly paradise as hundreds of butterflies were fluttering....the majority was the Silver-studded Blue. 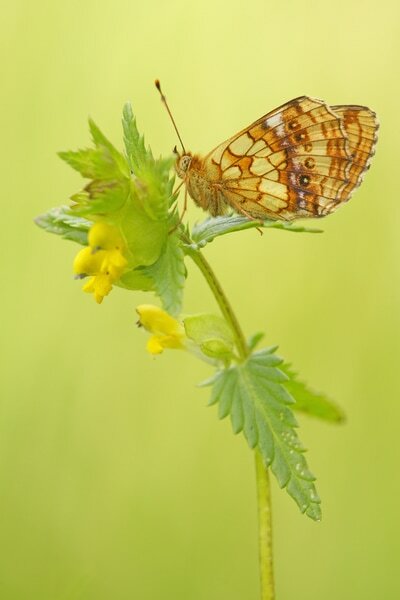 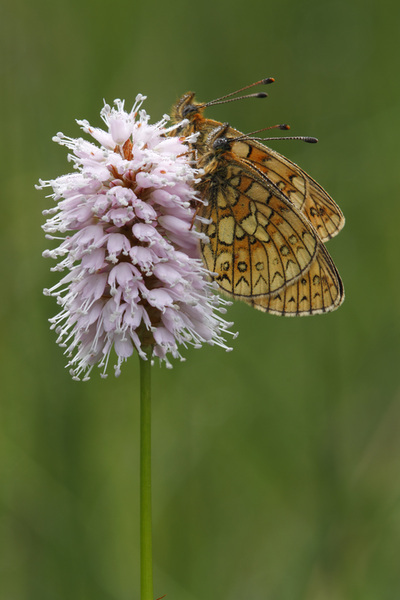 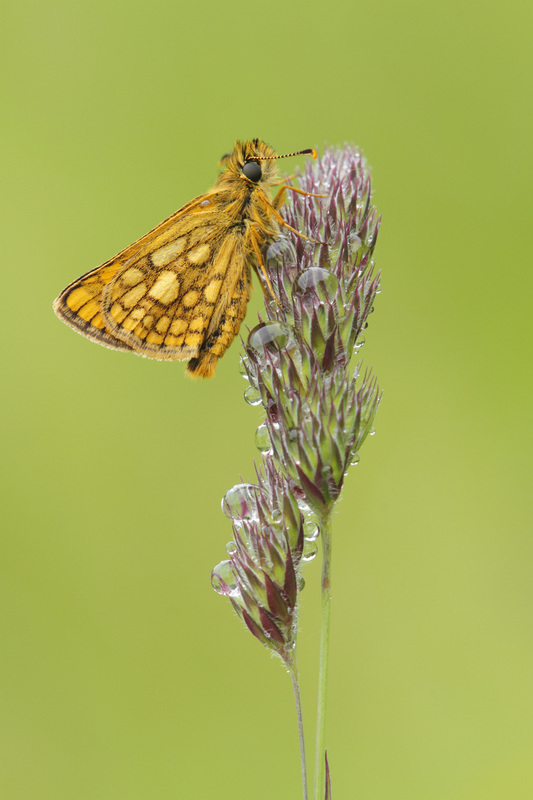 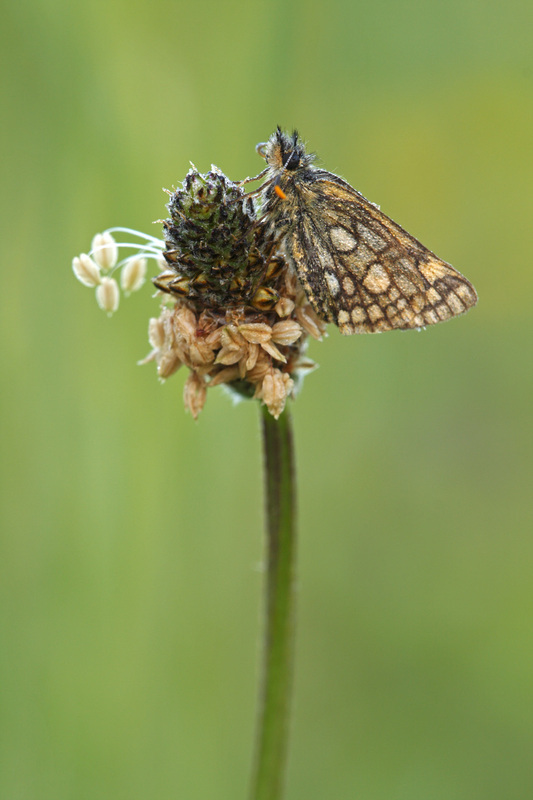 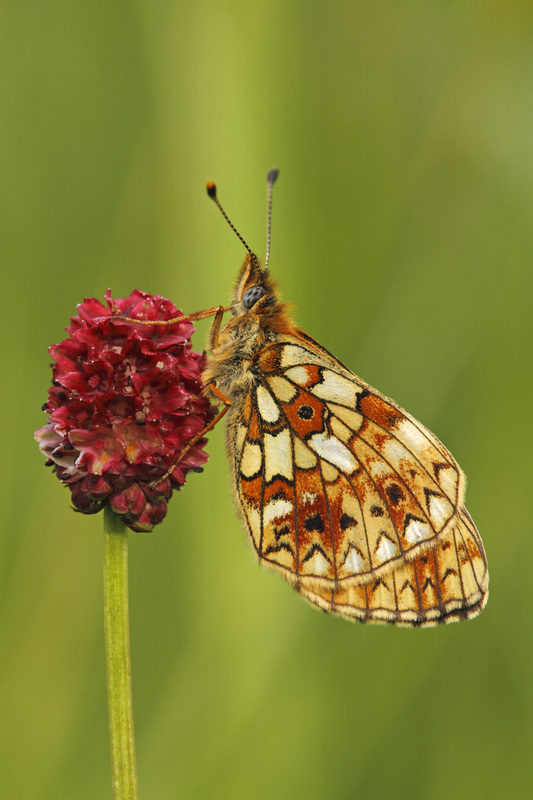 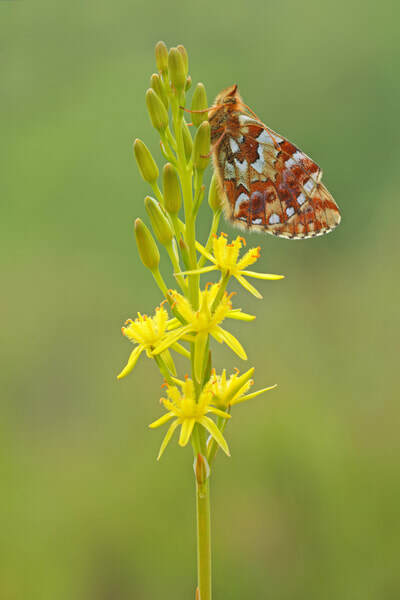 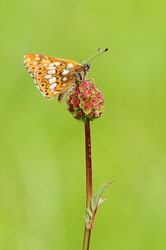 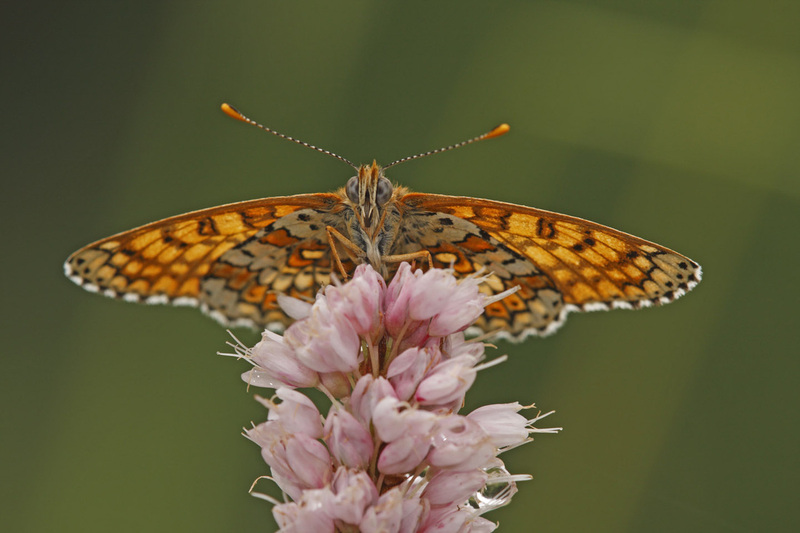 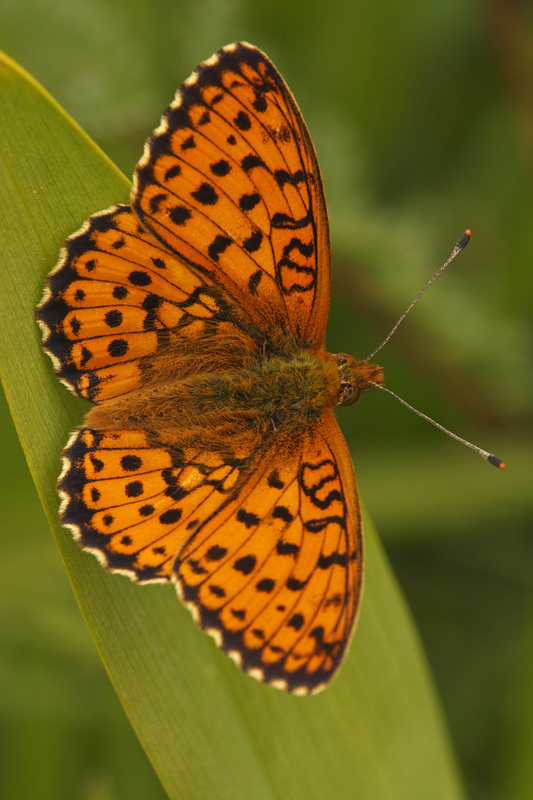 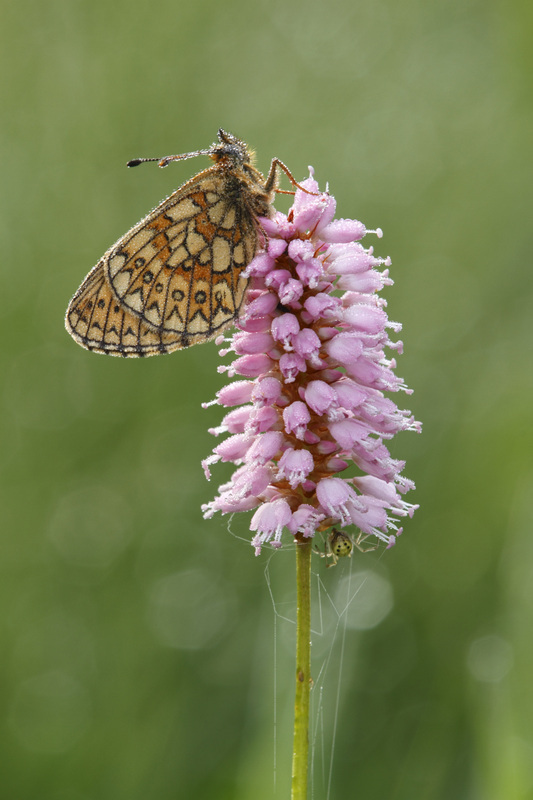 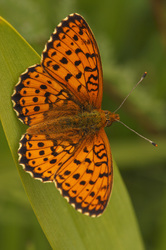 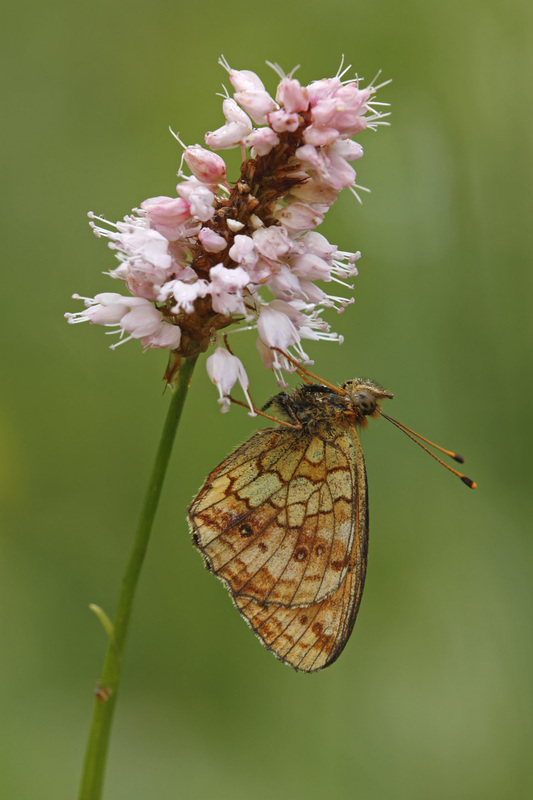 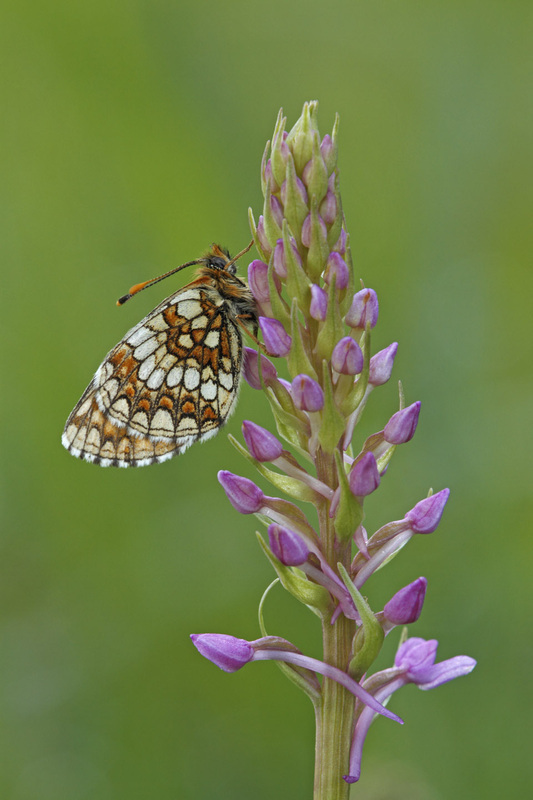 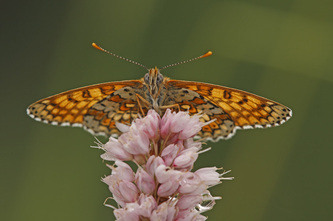 The other spot was a small moor area in which we found the Cranberry Fritillary. 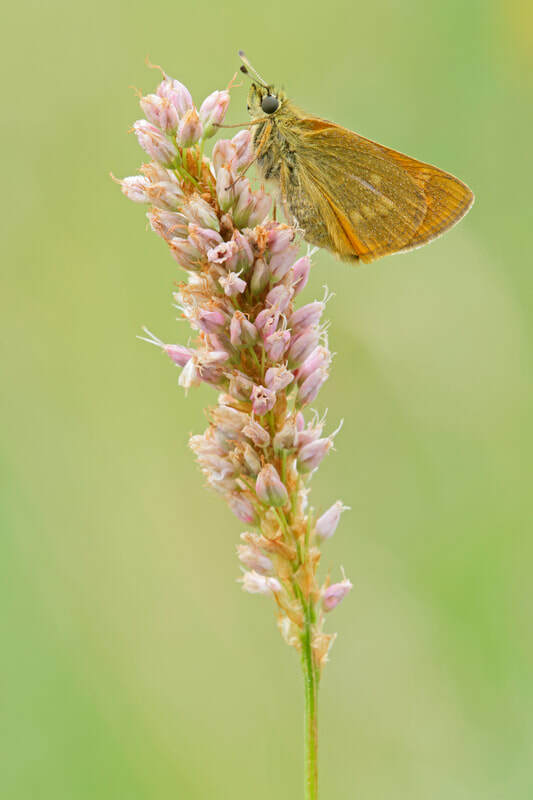 ​2015 was a visit of surprise as I could not find much butterflies; on one of my favourite spots I walked around for almost one hour without finding any butterfly. 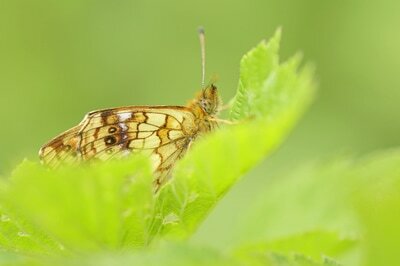 Later, on a second spot I found some but not high amounts. 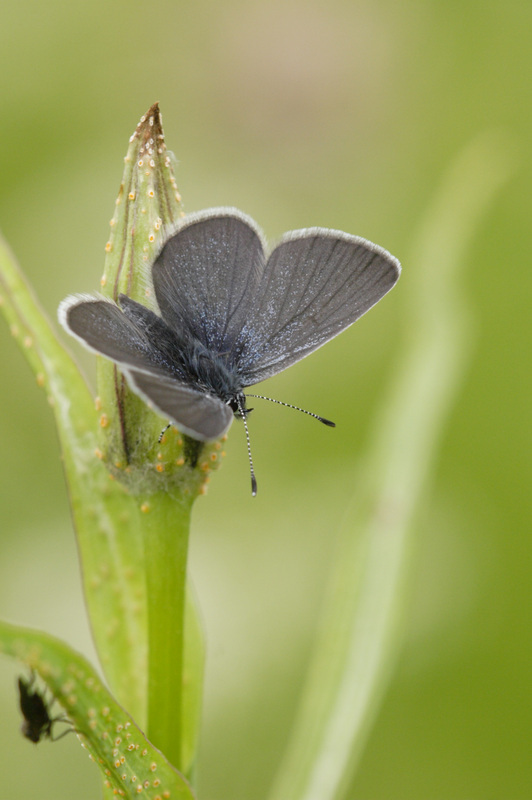 The highlight of 2015 was the discovery of the Black Hairstreak spot. 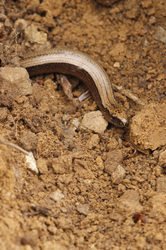 Unfortunately by that time (the sun was shining) they were too active. 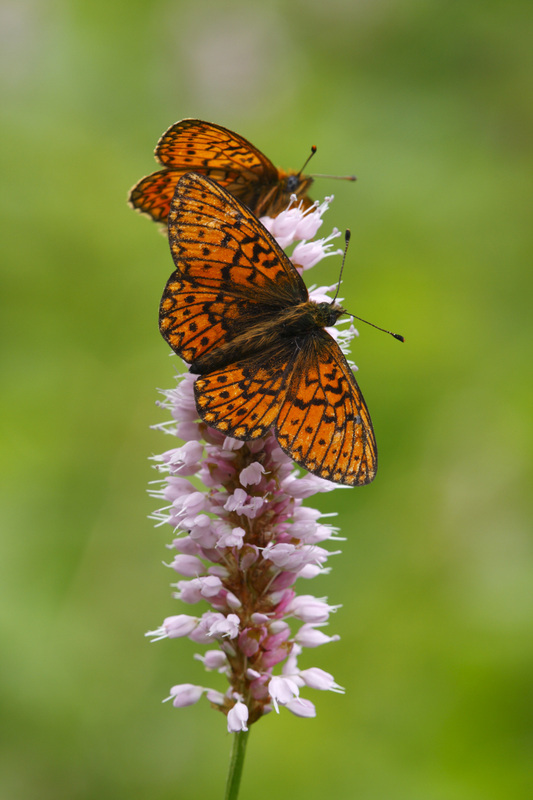 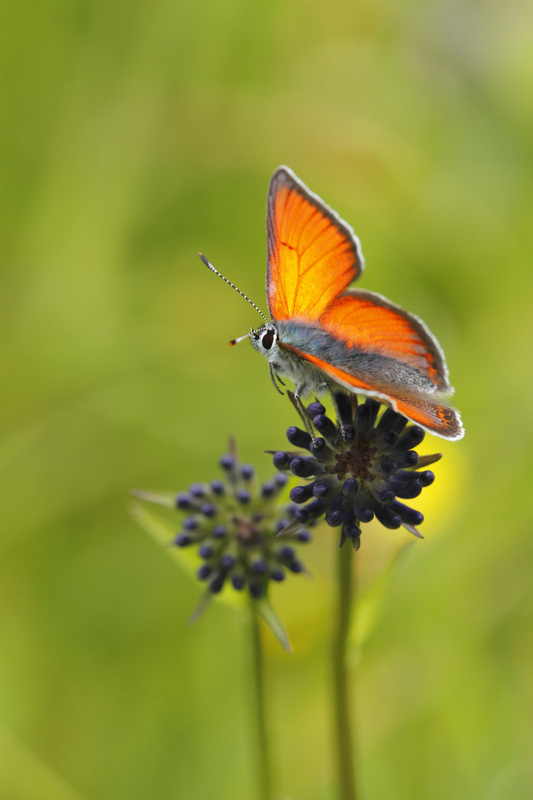 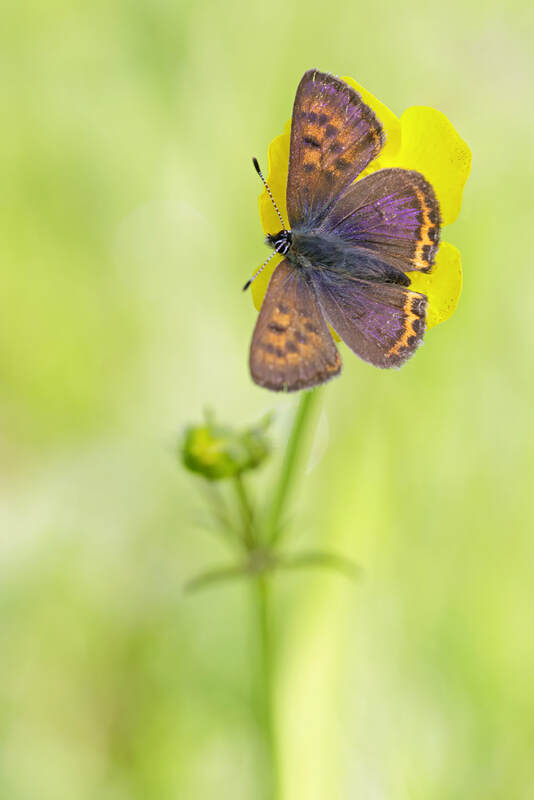 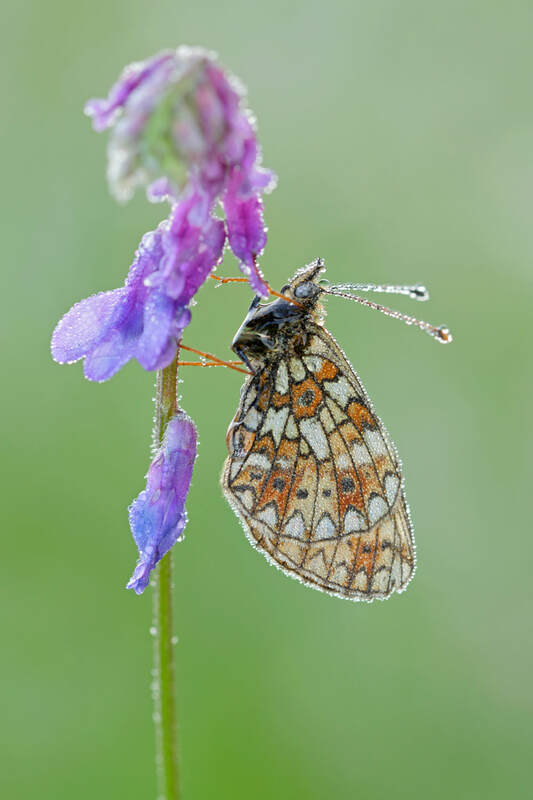 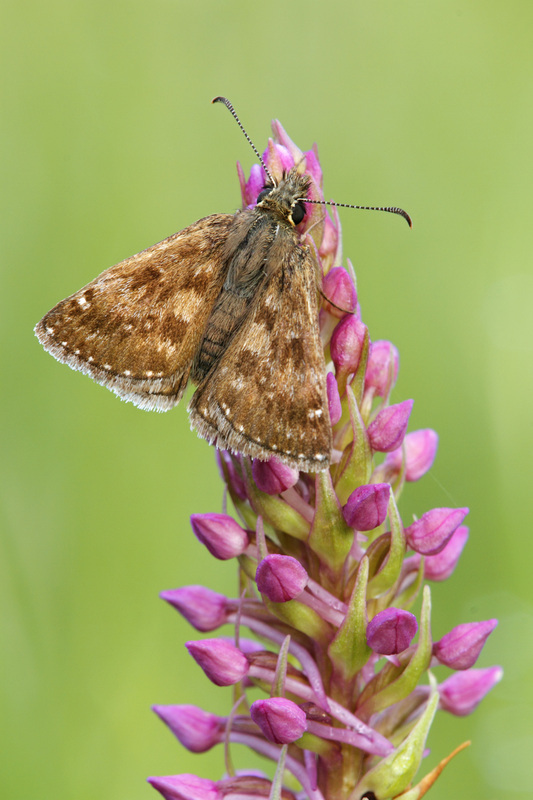 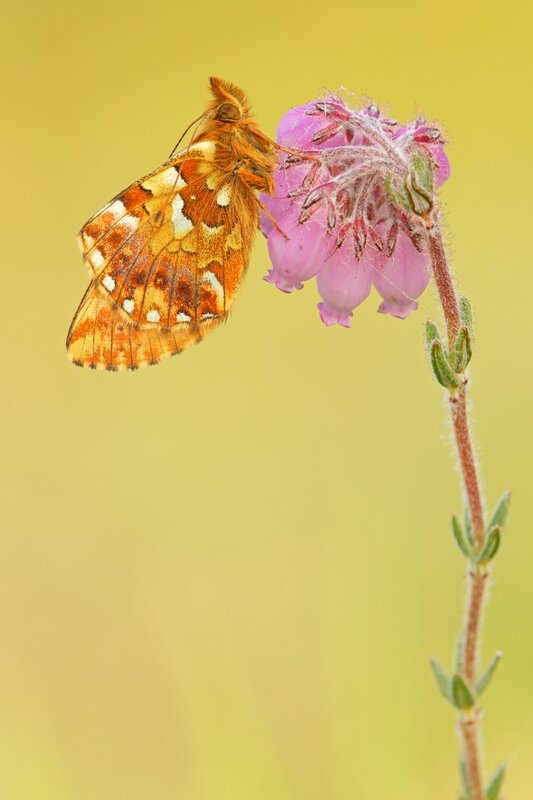 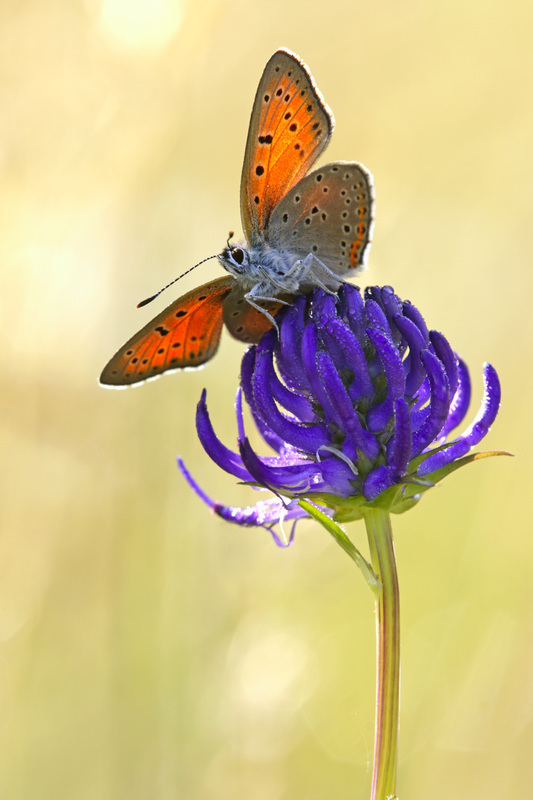 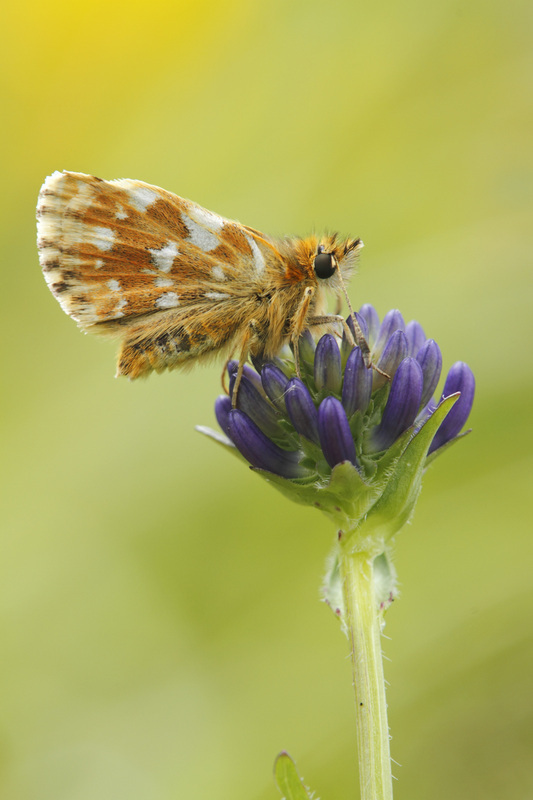 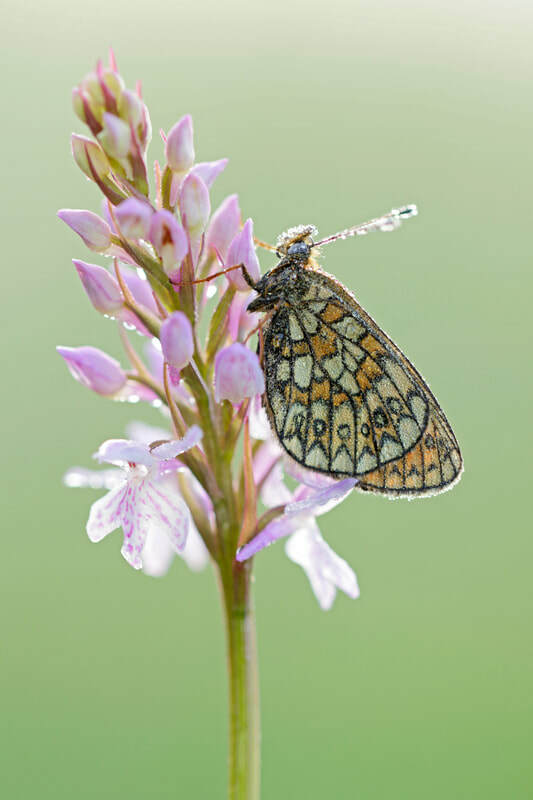 ​In 2014 I had the mission Violet Copper, a beautiful small butterfly which I photographed for the last time decently in the nineties on slide. 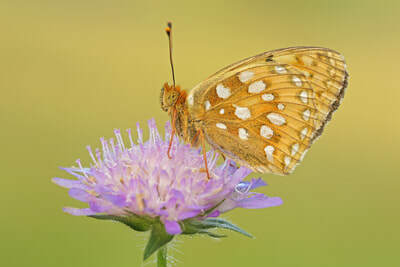 As this species is very vulnerable, I entered their habitat this year for the first time since years again; fortunatley with succes. 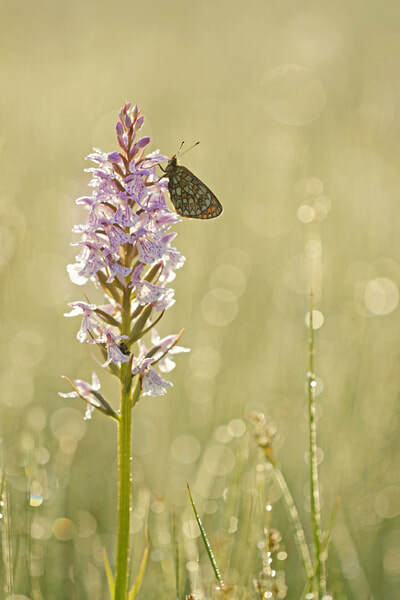 Next to the amount of butterflies I was happy to find a lot of orchids. 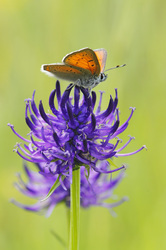 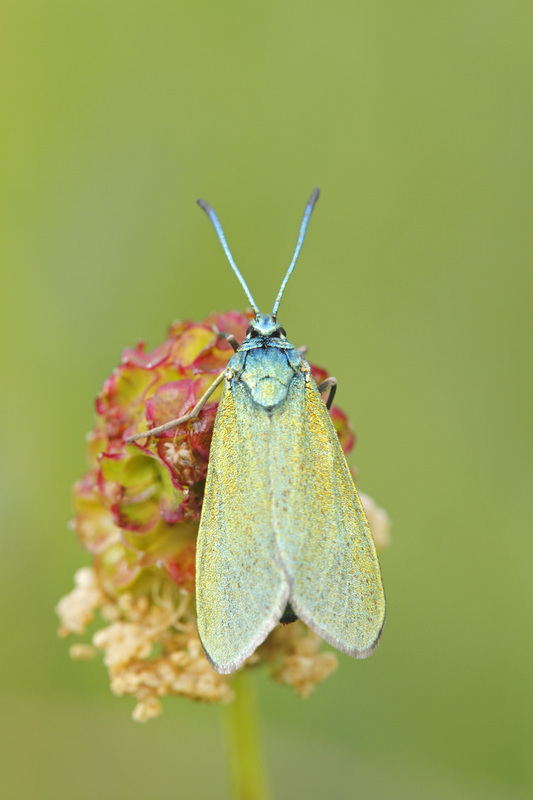 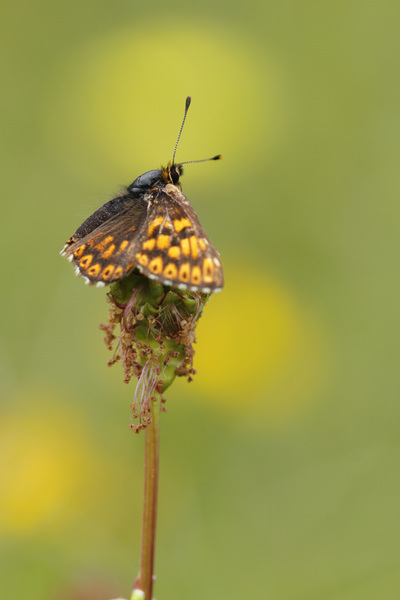 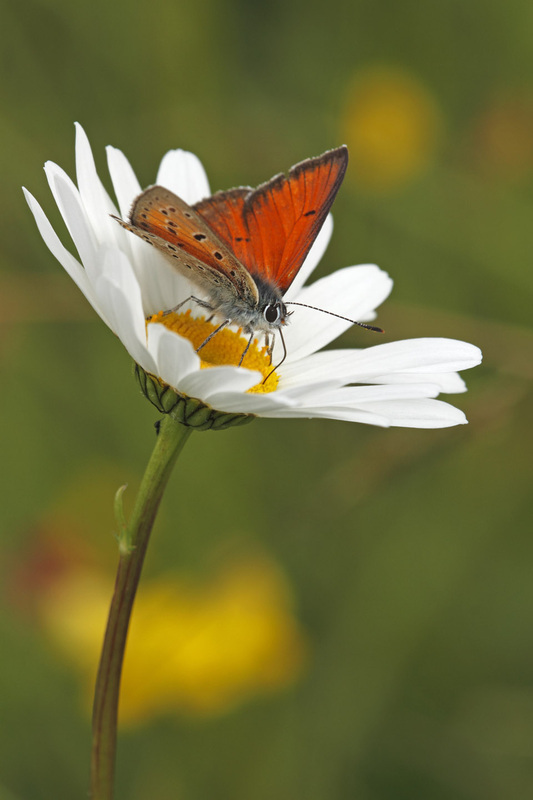 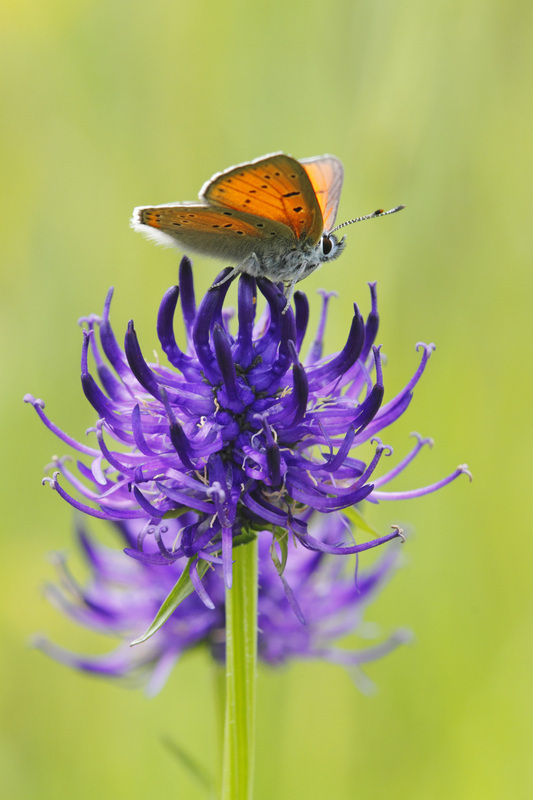 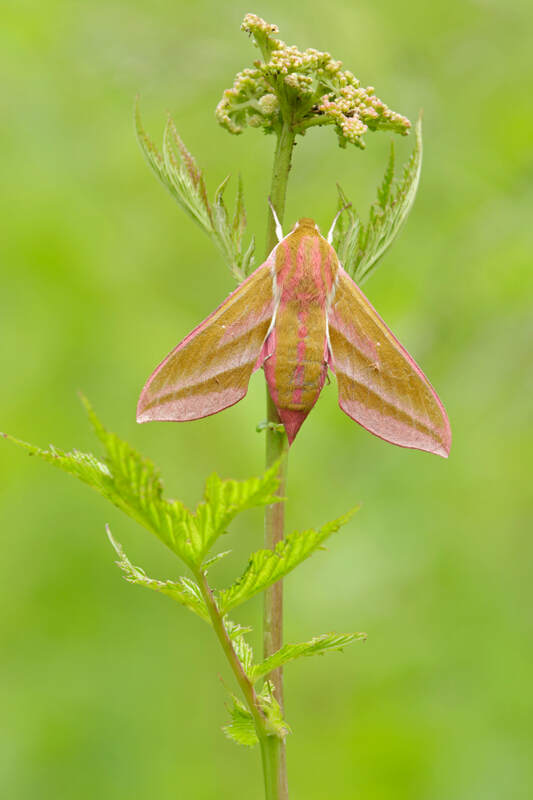 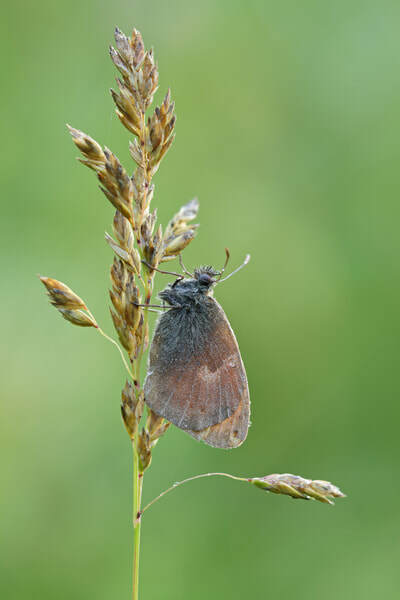 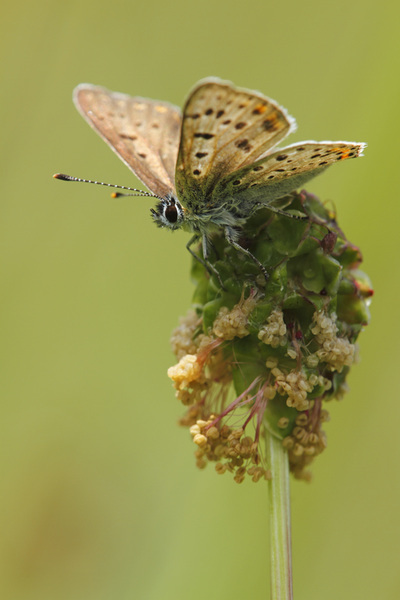 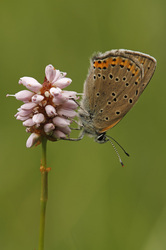 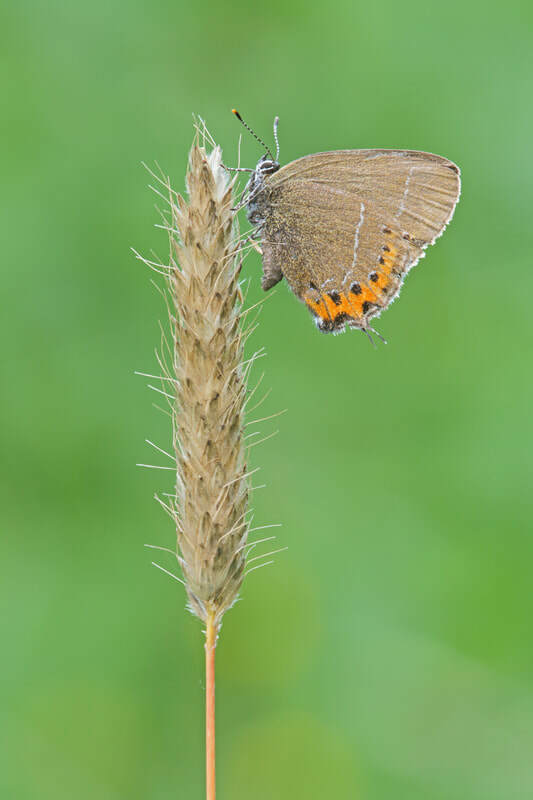 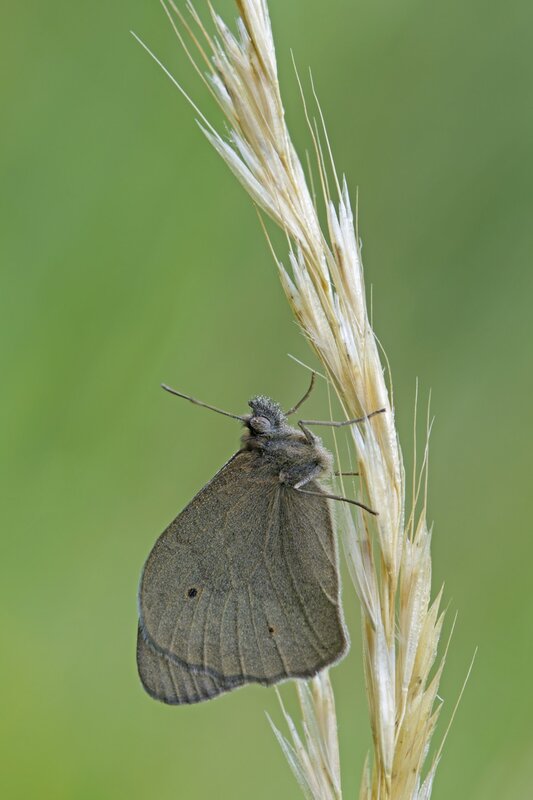 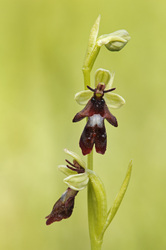 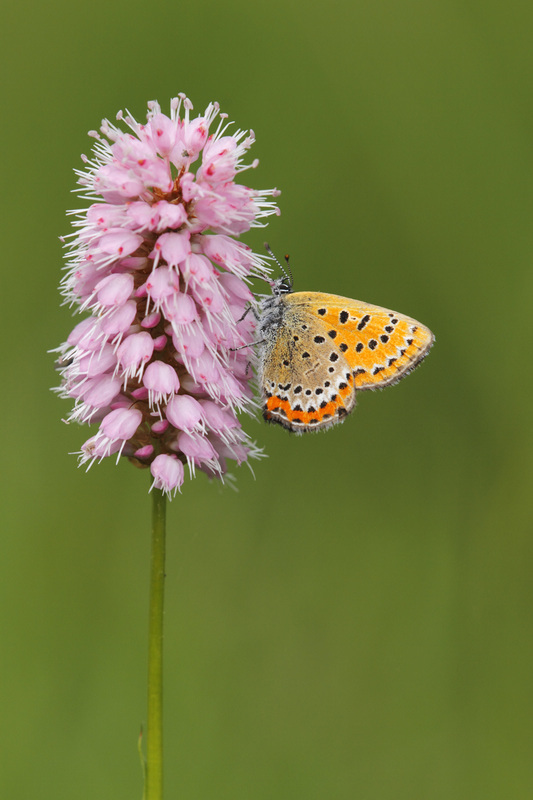 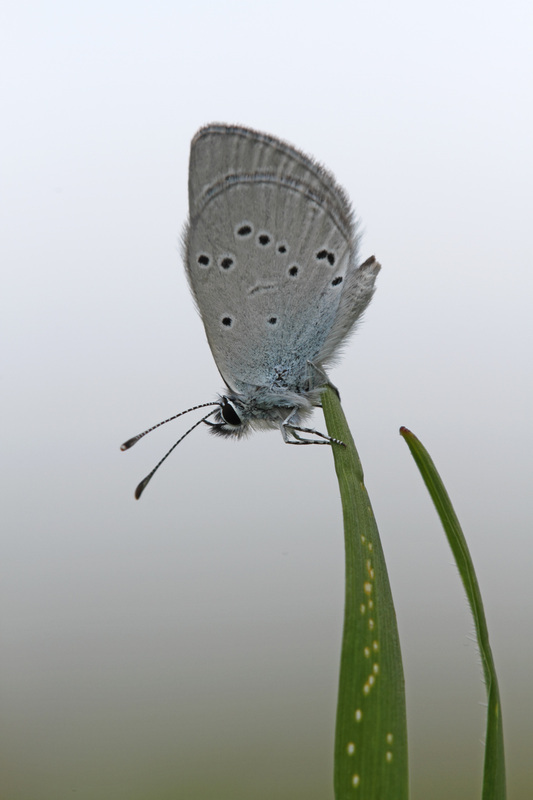 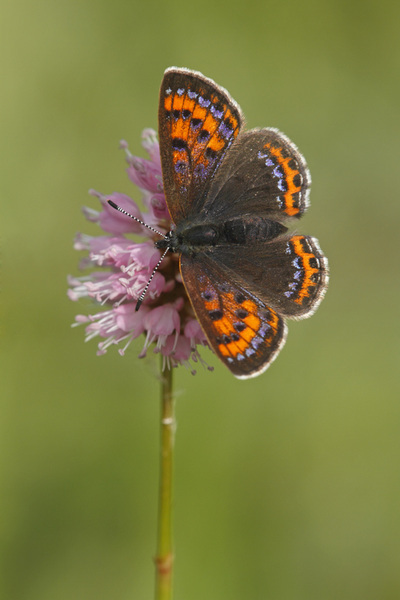 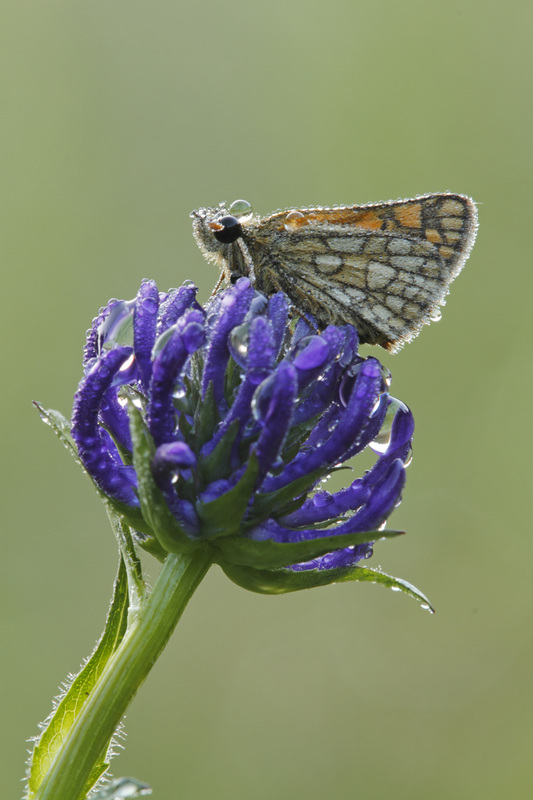 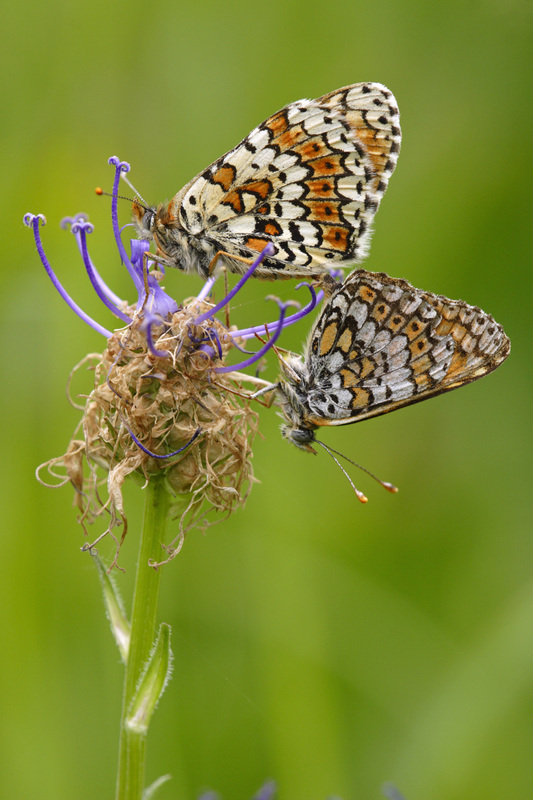 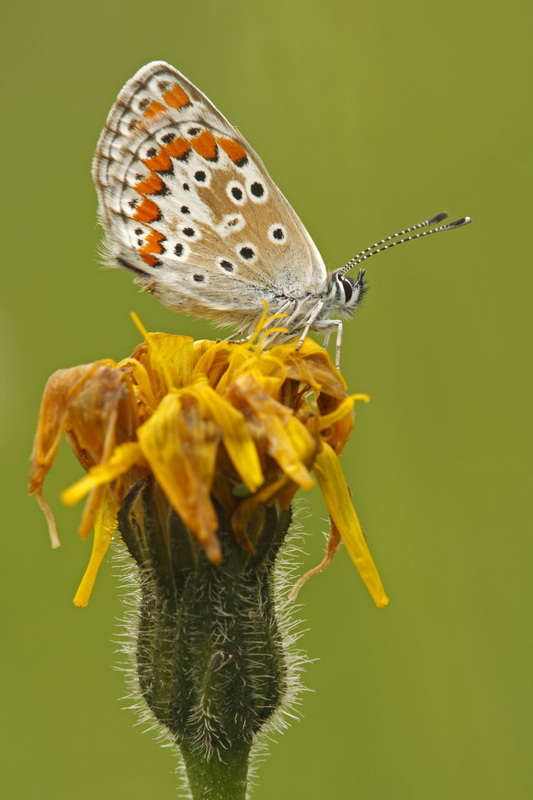 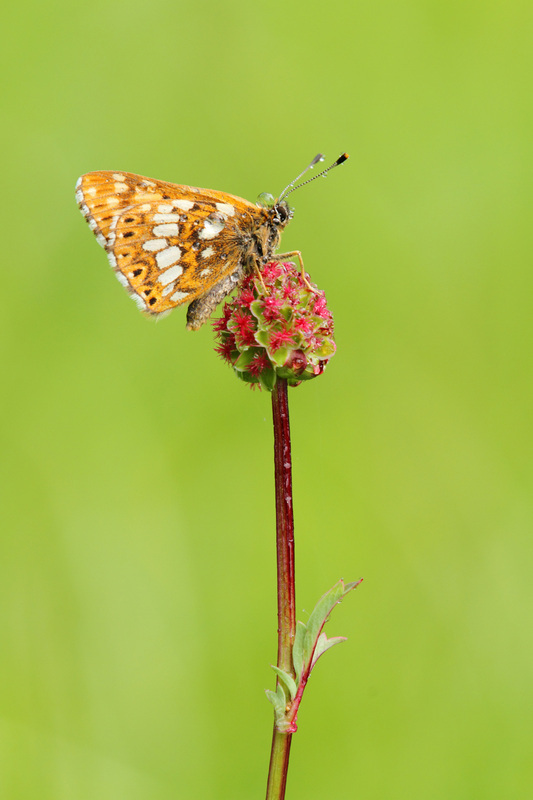 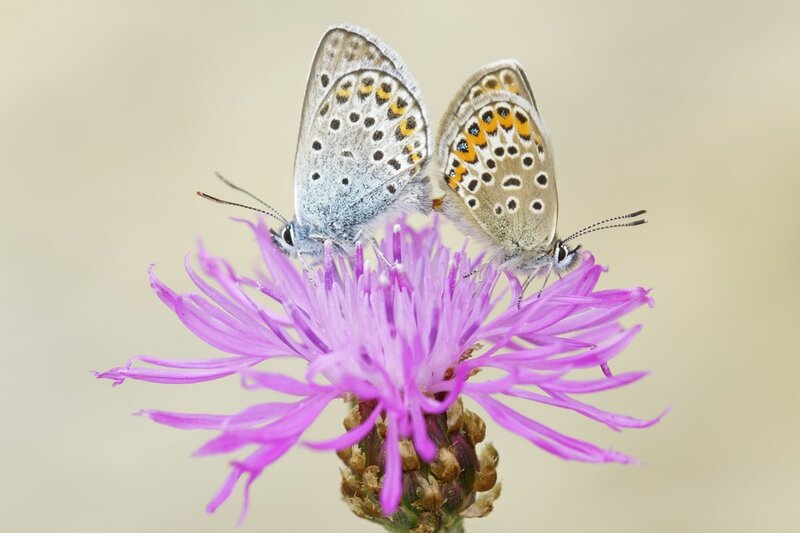 ​In 2013 I visited the Eifel mid June and I was surprised by the growth arrears of plants and flowers and the low amounts of butterflies (except the Small Blue). 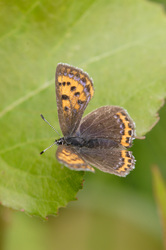 Actually, I wanted to photograph the Violet Copper but that plan vanished. 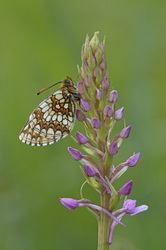 This year I visited my 'spots' in the weekend and found out that it was very crowded. I met some friendly butterfly photographers! 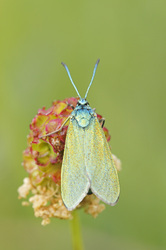 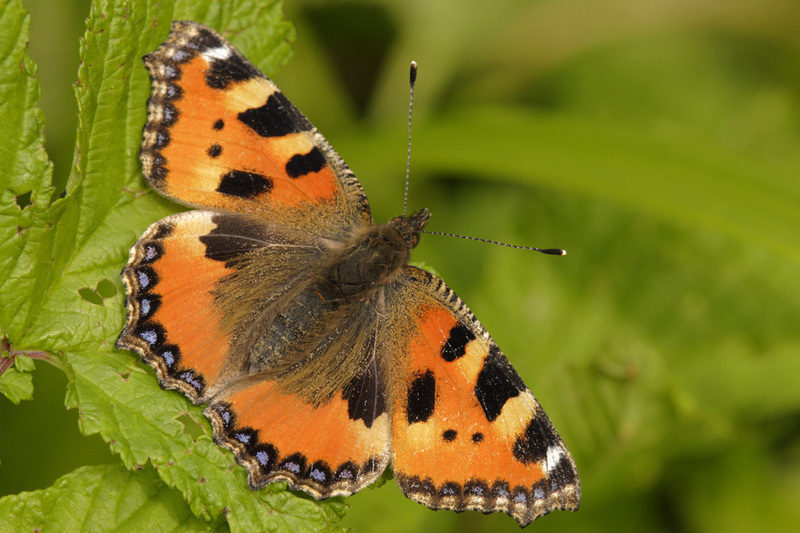 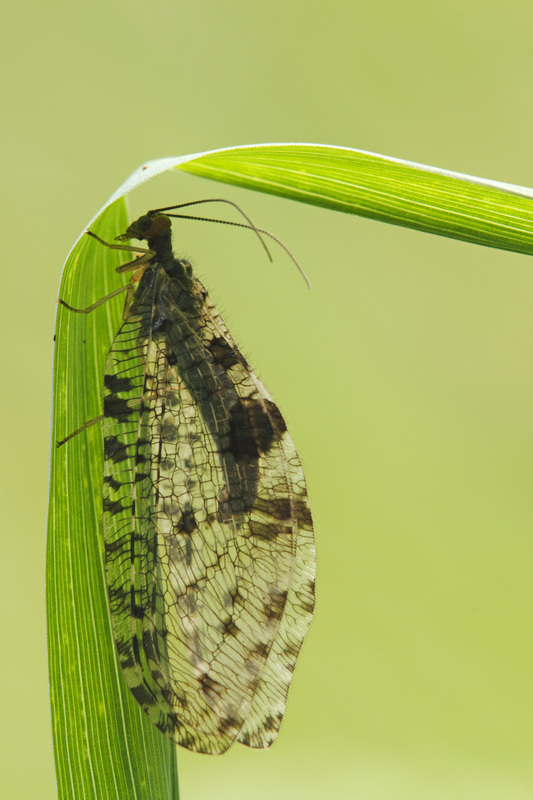 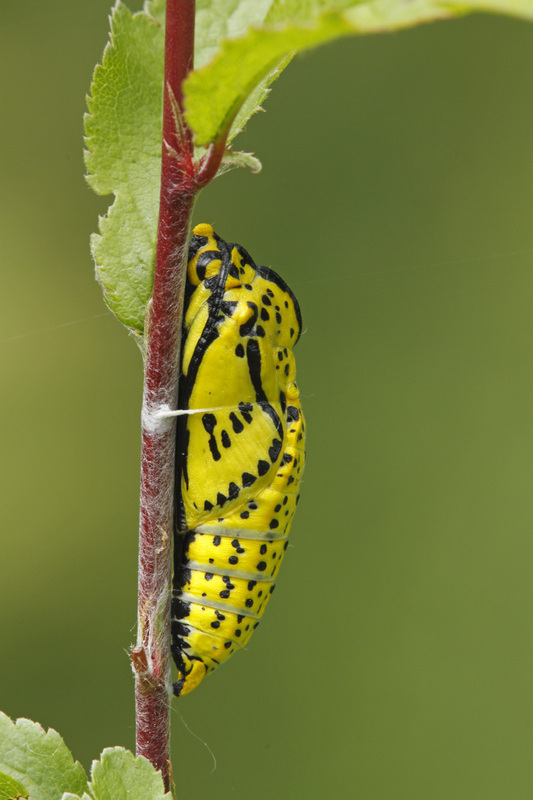 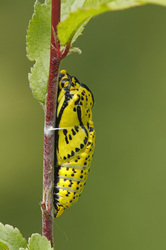 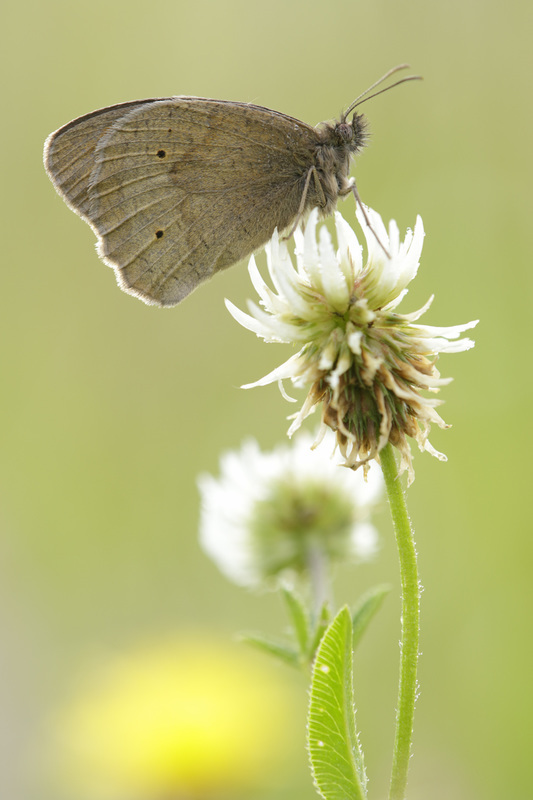 ​The trip to the Eifel in 2011 was my first oppertunity of photographing butterflies. 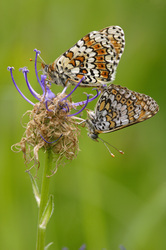 Unfortuntely we arrived a bit late so some butterflies were already flying. 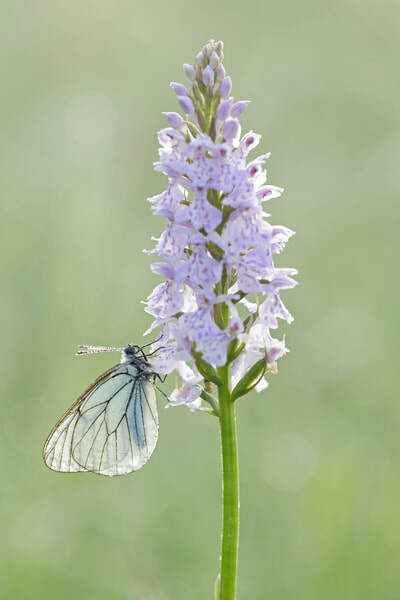 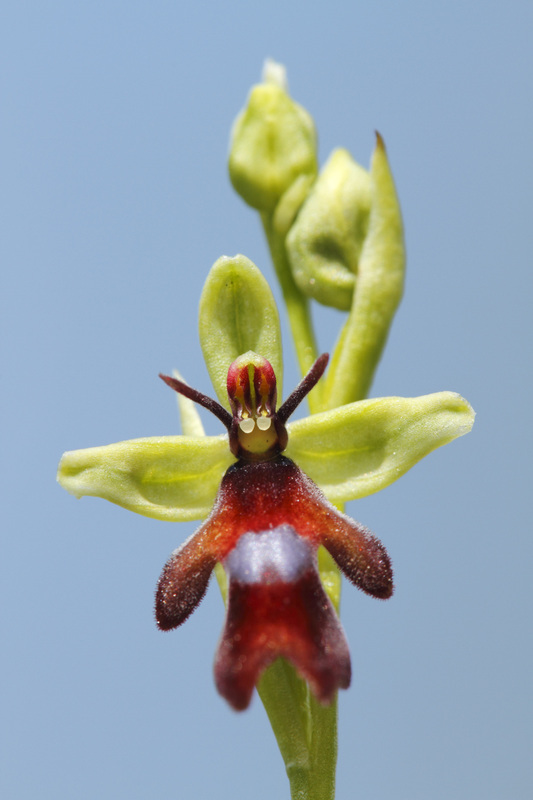 I walked to the shadow places and after some time I found a butterfly still resting on an orchid; I was very happy! 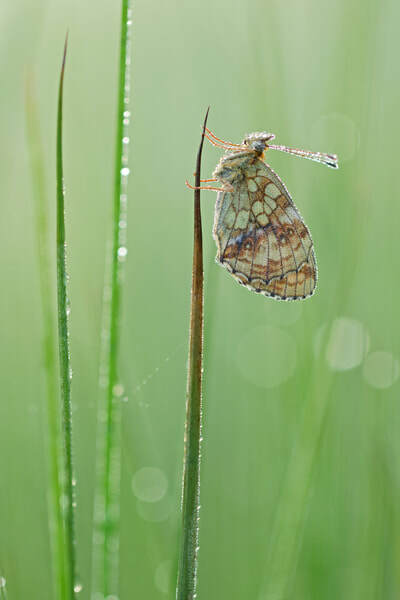 Sometimes we had a rainshower and the grass was very wet but to our advantage the butterflies were resting for a short while. This year we discovered a new field with a lot of butterflies. I look forward to the next trip!